Yes, this cake is from 2011. Is that too old to eat? Not unlike a human child or a class II young stellar object, Astrobites has grown rapidly and substantially since its birth. (Fortunately, the timescale for our growth is probably more like the human child.) Principally, we’ve grown as a student organization. From the seven Harvard students who started the site, we’ve grown to a collaboration of 62 students from around the world. Our most recent class of authors, joining us this past October, numbers twelve strong and hail from Ohio to Zurich. Of course, we’ve all each grown professionally in this time as well. Not a few of us have graduated and taken up post-doctoral posts or found careers outside of academia. You can read work by several of our alumns in Astronomy and Sky and Telescope Magazines, on Universe Today, FiveThirtyEight, and one of our own recently joined the AAS press office. Map of astrobites readership by city from the month of November, 2014. We’ve been delighted to see our vision for graduate student-led science communication projects pollinate and expand. Sister sites to astrobites have popped up in other fields, such as Oceanbites, Chembites, and Particlebites. The Communicating Science workshop series (ComSciCon) that several of our members founded in 2012 has flourished, with 9 national and local events around the country completed or announced. Finally, it’s been a pleasure to serve, hear from, interact with, and learn about the readers who visit astrobites from around the world (four thousand per week according to our site analytics). Our most recent readership survey shows us that about 20% of these readers are undergraduate students and 40% are graduate students, exactly the young scientists that we started astrobites to support as they begin their careers in research. Indeed, 80% of our student readership is pursuing a career in research, while 20% are focused on other goals including outreach and education. Somewhat to our surprise these past four years, our readership continues to be in no small part composed of non-students, including practicing researchers (12%), educators (6%), and astronomy enthusiasts (17%). We’re glad that our work has broader impacts than to serve purely as an educational resource. Kirit Karkare's route to the South Pole. He cautions that the Mercator projection makes this route look more inefficient than it really is. In our most recent reader survey, we asked you to tell us your favorite posts from our first thousand published on astrobites. 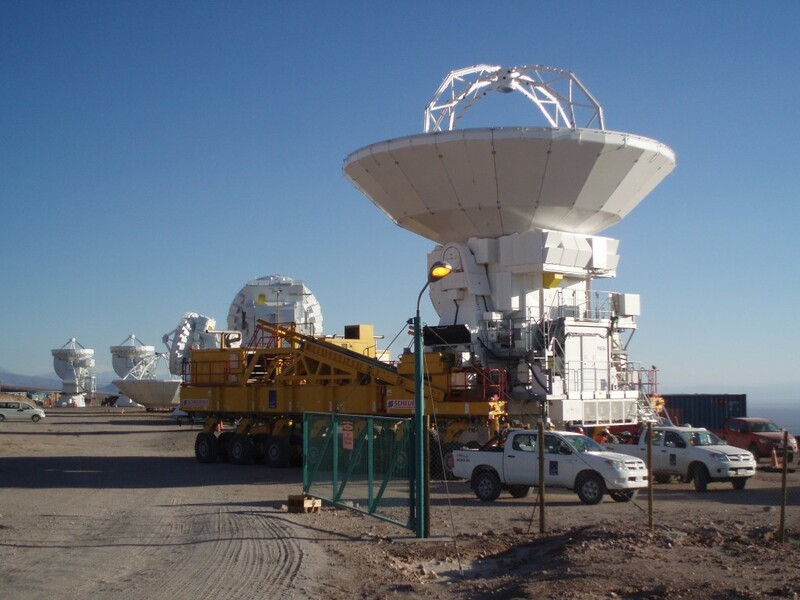 We’ll share a small selection of these here: The five part personal research narrative and travelogue of Astrobites author Kirit Karkare on his way to work on BICEP2 at the South Pole remains a favorite. Kirit’s gorgeous photographs from New Zealand and the Pole can’t hurt. A number of international students wrote in thanks of Elisabeth Newton’s recent piece, Applying to grad school in the US: a timeline. We certainly hoped this compendium of information would be invaluable for American undergraduates, but perhaps didn’t realize how especially scarce this information is to those seeking to come here from abroad. Alice Olmstead clearly touched a nerve with her personal and heartfelt narrative of her decision to transition from a career in research to education. One reader who wrote in called it “eye-opening.” Another reader harked way back to one of my own favorite posts from our first year, A Day in the lives of astronomy grad students. We featured a tableau of everyday stories from graduate students at universities around the world. I think this remains one of the most realistic resources on the web for students trying to understand what it really means to be a scientist. Several of you wrote in to highlight Yuan-Sen Ting’s brilliant guest series of astrophysical classics posts on Neutral Hydrogen in the Universe, featuring screenshots of Yuan-Sen’s interactive lyman alpha forest simulator that he later published through EdX. Guest author Andrew Pontzen also published a great series of interactive cosmological simulations on our site. 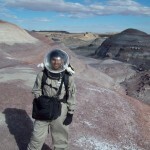 Sukrit Ranjan boldly explores Mars, Utah. Recently, we also asked Astrobites authors new and old to reflect back on their own favorite posts from the past several years. 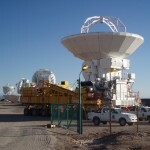 Reflecting our authors’ varied interests, and the diverse subjects we’ve covered on the site over the years, these posts spanned the gamut of astrophysical research. On the subject of galaxies, Chris Faesi highlighted his review of the relation between gas density and star formation rate and Anna Rosen picked her coverage of recent research in globular cluster dynamics. In stellar astronomy, Elisa Chisari linked to her writing on the sun’s potential use as a gravitational wave detector and Meredith Rawls offered a look at some consequences of binary common envelope evolution. Brett Deaton recently wrote about the beautiful imagery that would result from a binary black hole merger. For the cosmologically minded reader, Andrew Emerick has covered hydrodynamic simulations of the universe and Josh Fuchs wrote about groundbreaking work on the use of white dwarfs as cosmic clocks. Closer to home, Nick Ballering suggested his piece covering the new hypothesis on the formation mechanism for the dramatically different morphology between the near and far side of our own Moon. Perhaps the most dynamic sub-field in astronomy over the years we’ve been writing has been exoplanets, and our extensive coverage (nearly 200 posts and counting) has reflected this. Ben Montet pointed to his excellent methodological review of how to model correlated noise, for example in exoplanet transit signals. 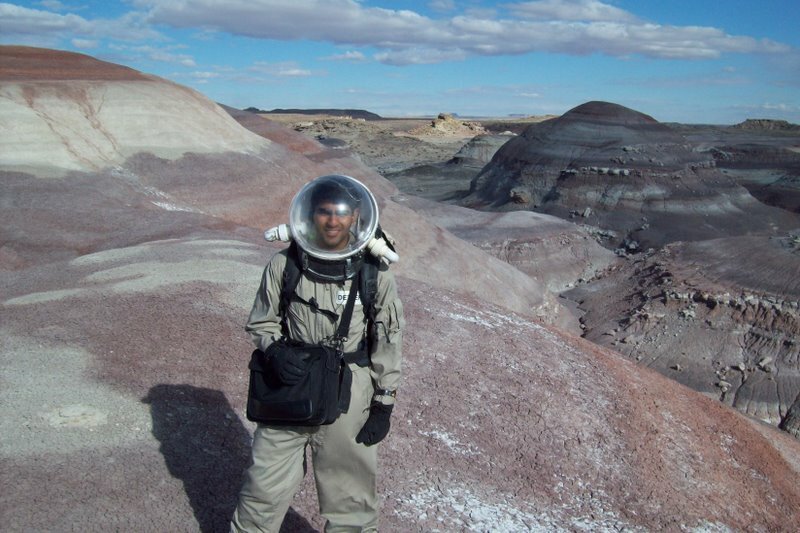 The oldest of this bunch was Sukrit Ranjan’s 2011 remembrance of his own journey to (an analog) Mars in 2011, which is just the second of three travelogue pieces we’ll list here. The most recent was Ashley Villar’s piece from just last week, exploring new Kepler observations of the Blazhko effect in RR Lyrae variable stars. A view from Adele Plunkett's tour of the ALMA facilty. 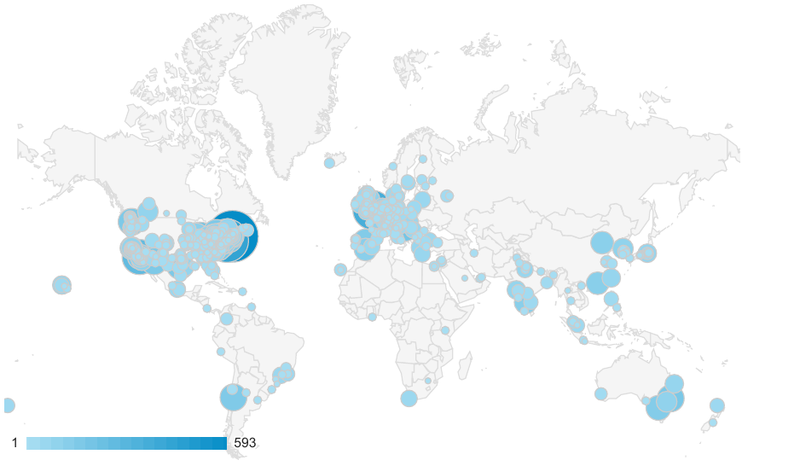 Each of these has received more than 9,000 unique visitors since we started tracking in September, 2011. For context, the American Astronomical Society has a total membership of 7,000 (with about half that being active participants at meetings, etc.) and astronomy papers typically receive <200 reads in their first year after publication according to data on ADS Labs. Astrobites' fundamental goals have not changed since it was launched four years ago. We remain committed to providing an educational resource for your students pursuing careers in research, and to provide writing, outreach, and leadership experience to scientists during their graduate careers. I would note that, although it’s fun to look at the “top ten” list above, none of us are keeping track of the pageview statistics for Astrobites regularly. Unlike much of the modern news media, our editorial direction is completely independent of readership metrics. We’re writing about the things that interest us and that we think will be valuable to our readers. We’ve never shown ads on the site, and all our authors volunteer their time. In a media environment that is increasingly corporate sponsored; integrated with advertising; and, in some cases, in danger of sacrificing its objectivity; we think that these operating principles are important for our project. We’re so glad to know that others do, too.